One of my favorite designers last year (and again this year! ), is Silvia Tcherassi: a gorgeous Colombian designer that I am positive you have seen everywhere on your IG lately. 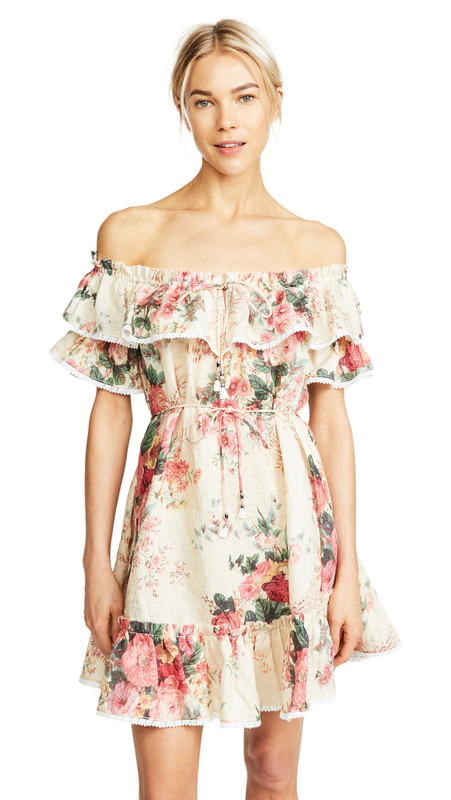 Some of my favorite pieces from her brand include this style of dress: fun puffy sleeves, big bows, colorful patterns, and flattering v neck. For these weather days that can’t make up their mind, one of my favorite pieces to layer is this Johanna Ortiz velvet robe. It looks like it was made from my great-great-grandmother’s drapery, and I couldn’t love it more. It’s olive, it’s velvety, and it’s decorated with soft blush flowers. Call it earthy and girly and a tad Downton Abbey-ish, just like moi. One-piece swim suits are my favorite. There are endless flattering styles, plus they feel more like an outfit than a bikini. Here are a few basic rules I follow when I’m shopping for a one-piece.